Public Safety Minister Ralph Goodale said the government has put “very significant” money into supporting the ability of police and border guards to enforce new rules which would come into effect next July 1. ST. JOHN’S, NL—The federal Liberal government has swept aside growing police concerns over the July 2018 timeline to legalize marijuana in Canada, saying the deadline is “reasonable” and can be met. Public Safety Minister Ralph Goodale told reporters Wednesday the government has put “very significant” money — up to $274 million — into supporting the ability of police and border guards to enforce new rules which would come into effect next July 1, under two bills now being studied in parliament. But Canadian police chiefs believe their forces aren’t ready and neither is the Canadian public. 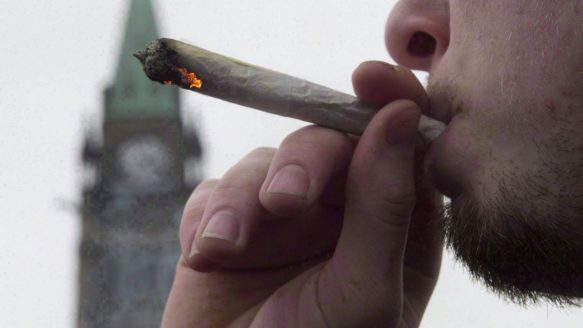 On Tuesday, officials from the Canadian Association of Chiefs of Police, the OPP and Saskatoon police testified at a health committee studying the bill to legalize pot that they need more time to properly train officers, to more than double the number of officers who are certified to do roadside testing for drug impaired drivers, and to raise public awareness about the impairment effects of smoking marijuana. They want a delay of another six months to a year. Goodale, who meets provincial justice and public safety ministers later this week, said he will discuss those concerns but he disagreed that the government was moving too fast. He said he’ll “listen very carefully” to all the expert advice at parliamentary hearings and didn’t directly reject the police chiefs’ request for a delay, but Goodale suggested it is not necessary.